Why the Toyota Corolla Altis and Renault Fluence are more value for money post the excise duty hike! The 2012 Union Budget has announced a hike of excise duty across all car segments. However, there are two cars that will not be affected too much by the hike: the Toyota Corolla Altis diesel and the Renault Fluence diesel. Wondering why? Well, because both these cars are powered by engines with of less than 1.5-litre. For large cars with engine capacity less than 1.5-litres, the excise duty has been hiked from 22% to 24%. For large cars with engine capacities of more than 1.5-litre, the excise duty has been hiked from 22% to 27%. This translates to a 5% price hike across all the D-segment cars such as the Honda Civic and Chevrolet Cruze. Here, we discuss on how the Altis diesel and Fluence diesel are better value for money proposition than the competition. Photo: A 2% excise duty hike translates to a price hike of only Rs. 26,500 across the Altis diesel variants! The Corolla Altis D-4D comes with a 1.4-litre engine that puts out 87 bhp of power and 205 Nm of torque, mated to a 6-speed manual transmission, with a claimed mileage of 21.43 kmpl. A 2% excise duty hike translates to a price hike of Rs. 26,500 across the Altis diesel variants while the rivals see a 5% excise duty hike that translates to a price hike of Rs. 70,000 approximately. Also read: New Toyota Altis automatic launched at Rs.13.76 lakh! Post budget, the Altis diesel costs Rs. 12 lakh for the J base variant, Rs. 13.96 lakh for the G mid variant and Rs. 15.23 lakh for the top-end G (L) variant. Among the base variants, the Corolla Altis diesel, even after the excise duty hike, continues to be the cheapest diesel sedan in the segment. The nearest competition is the Chevrolet Cruze which is Rs. 33,000 dearer than the Altis J while the base variants of the Jetta and Laura are nearly Rs 2.83 – 2.96 lakh more than the Altis J. 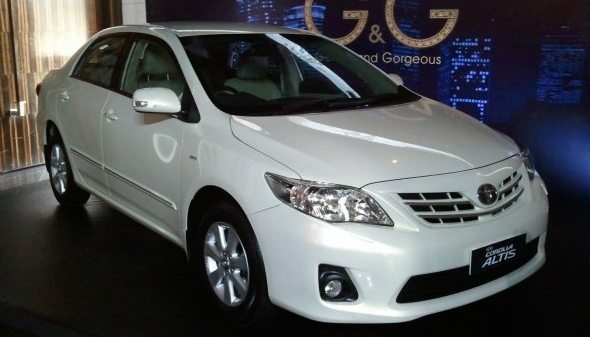 Among the top-end variants, the Corolla Altis diesel is Rs. 1.81 lakh dearer than the Cruze top-end variant. However, the Altis is Rs. 2.18 lakh cheaper than the Volkswagen Jetta Highline and Rs. 3.18 lakh cheaper than the Skoda Laura L&K automatic variant. Photo: A 2% excise duty hike translates to a price hike of Rs. 26,000 across the Fluence diesel variants! The Fluence has a 1.5-litre diesel engine that puts out 105 bhp of power and 240 Nm of torque, with a claimed mileage of 21.8 kmpl. A 2% excise duty hike translates to a price hike of Rs. 26,000 across the Fluence diesel variants. The rivals see a 5% excise duty hike which translates to a price hike of Rs. 70,000 approximately. Post budget, the Fluence diesel costs Rs. 13.24 lakh for the E2 base variant and Rs. 14.68 lakh for the E4 top-end variant. Among the base variants, the Fluence diesel is Rs. 91,000 dearer than the Cruze diesel. However, the Fluence diesel is Rs. 1.59 lakh cheaper than the Jetta and Rs. 1.70 lakh cheaper than the Laura. 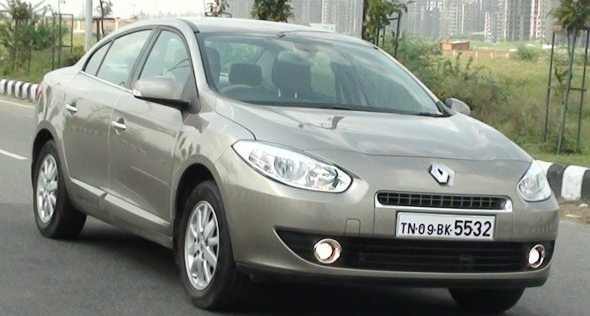 Read more: Renault Fluence owner review. Among the top-end variants, the Fluence diesel is Rs. 76,000 dearer than Cruze top-end variant. However, the Fluence diesel is Rs. 3.23 lakh cheaper than the Jetta top-end variant and Rs. 4.23 lakh cheaper than the Laura top-end variant. The base variant of Corolla Altis is Rs. 1.24 lakh cheaper than the base variant of Fluence diesel. However, the top-end variant of Fluence diesel is Rs. 1.05 lakh cheaper than the top-end variant of Corolla Altis diesel. Let’s take a look at the price of Renault Fluence diesel, Toyota Corolla Altis diesel and how thet stacks up against the competition post the excise duty hike. « Chevrolet Tavera officially launched at Rs.7.51 lakh!